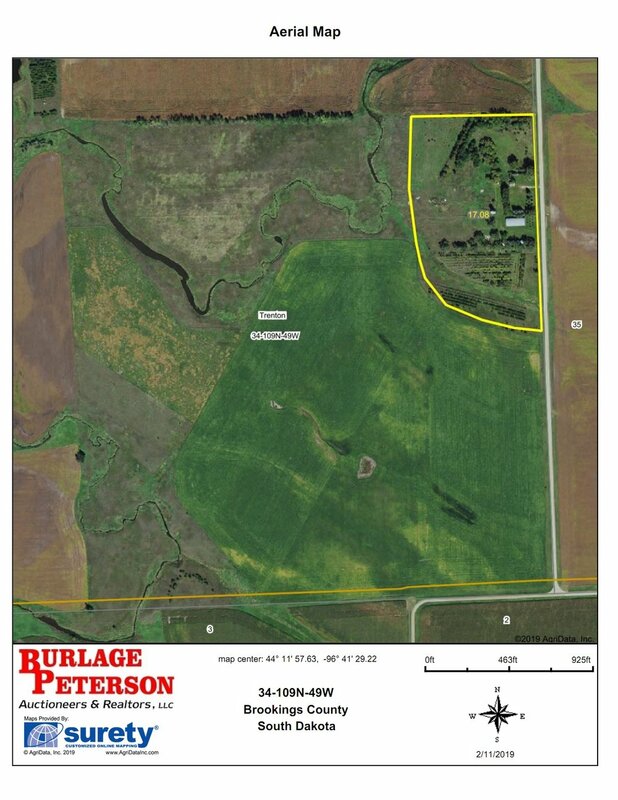 Tract I – 15.7 +/- Acre Building Site: This building site consists of approximately 15.7 +/- acres which was an established building site. At the present time, there are many trees surrounding the site with a newer shelter belt to the south side. There is a large Quonset, approx. 48’x100’, currently used for storage with possession on June 1, 2019. There is also a detached garage, 22’x22’, 4 grain bins and rural water to the site. This site would be ideal for that new home in the country! 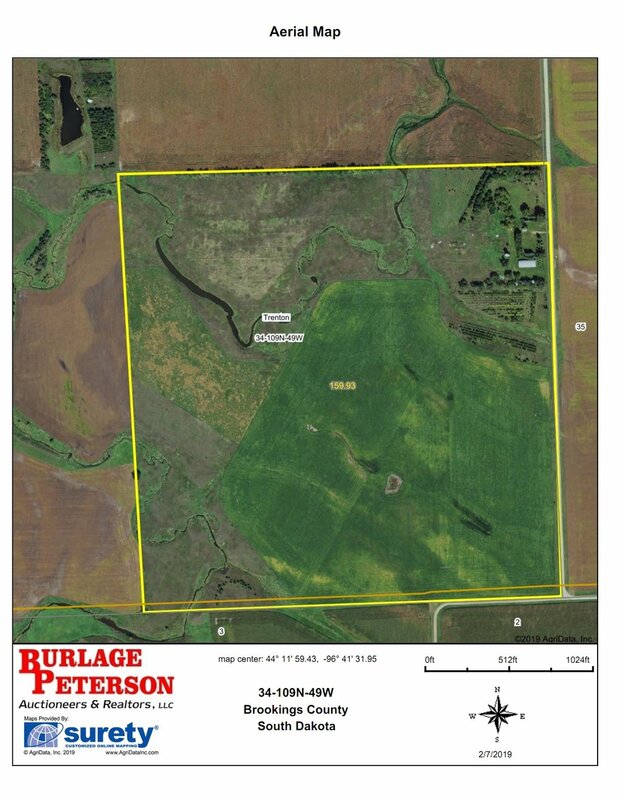 Tract II – 144.3 +/- Acres Unimproved Farm: According to the FSA Office, this farm has approx. 92.6 tillable acres. The farm has approx. 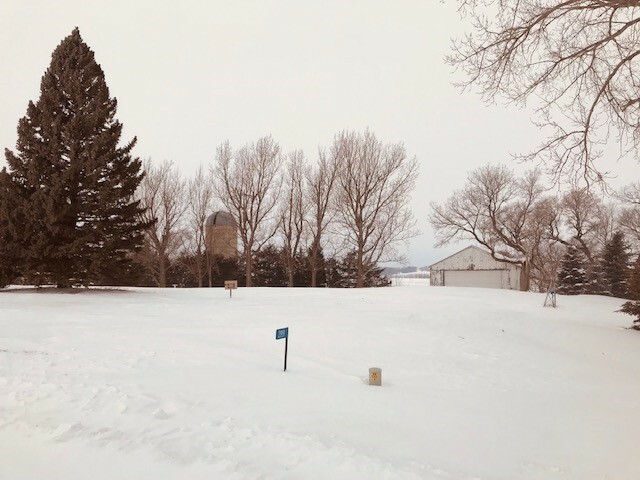 16.5 acres in grass that was tilled along with the balance of the farm in grass. 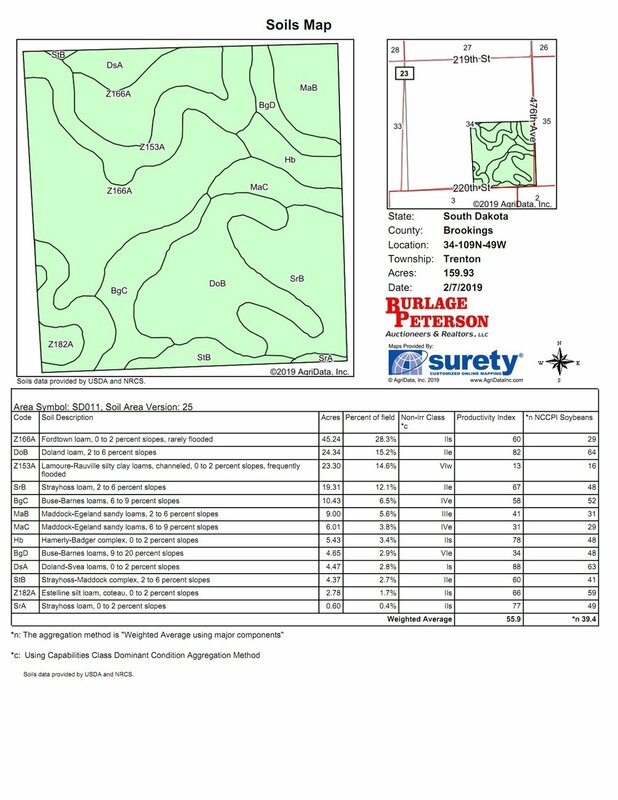 According to Surety AgriData, the farm has predominately Class II soils and a productivity index of 55.9. This farm has 16,650 feet of farm tile installed in 2014 and was planted to beans in 2018. We will offer each tract individually or as a unit. If sold separately, the acreage will be surveyed at seller’s expense. The land is free to farm in 2019. We invite you to inspect this farmland at any time. For additional information, contact the auctioneers. Come prepared to buy! TERMS: 10% non-refundable earnest money deposit due day of sale, balance due on or before April 19, 2019. Title insurance and closing fee split 50/50 between buyer and seller. Seller will pay 2018 real estate taxes, and buyer will pay 2019 real estate taxes. Properties sold subject to any easement, restrictions, reservations of record. Information contained herein and all statements made herein believed to be accurate but not guaranteed. Fences may not lie on true and accurate boundary lines, new fencing, if any is responsibility of new buyer. If sold separate, total acres may vary and are subject to survey. Sold as is, where is without warrantees, guarantees or contingencies of any kind and subject to confirmation of owners. Auctioneers and Realtors represent the seller in this transaction.